In 2003 we opened Sol&Luna shop in Madrid with the aim of offering a very original line of leather-wrapped furniture. Since then, our collection has been growing, being able to offer from our mythical ice bucket to a wide range of leather chairs for a dining room. Considered to be among the finest crystal makers in the world, we import William Yeoward Crystal with replicas of the glassware commissioned for the eighteenth century Kings of England. Highlight the porcelain from the German House Dibbern and the Austrian House Gmundner. In 2017, we launched HO By Sol & Luna collection offering a wide range of luxury accessories for the order at home, mostly leather and suede and purely handmade Spanish manufacture. Great ideas for a gift of success. 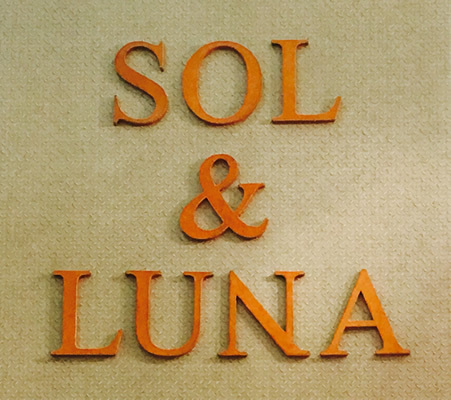 With our aim to turn order into a luxury and knowing that ordering is also to decorate, HO By Sol & Luna collection also offers a design and production service of custom cabinets and walking closets.